Posted on 19th November 2018 at 10:59 am. Third Generation (3G) football pitches have been popping up all over the country for several years, now. And it’s easy to see why, as there are very many benefits to installing a 3G pitch for sports such as football and rugby. 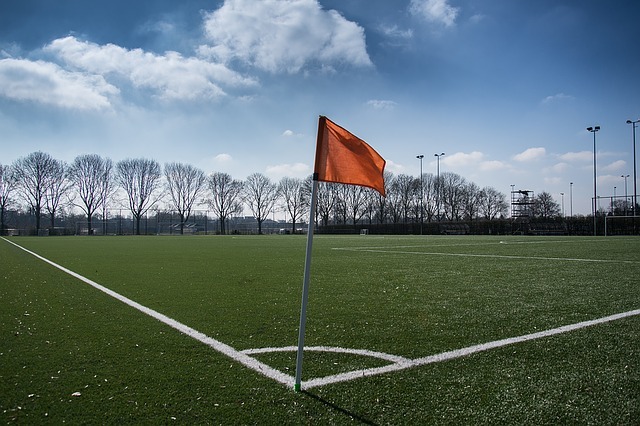 One of the major draws of synthetic sports pitches is that they can withstand frequent use, even during the winter months, and yet still look lush and green, and perform in the same way real grass does. Many real grass football and rugby pitches can quickly turn into a muddy, sticky mess, which affects the playing experience. Like artificial grass for a domestic application, 3G football pitches are certainly not ‘maintenance free’. There are, of course, still certain maintenance tasks that need to be performed on a regular basis to ensure the turf stays in good condition and continues to perform at its best. Luckily, the maintenance that is involved is relatively easy to undertake and will not demand as many maintenance hours as a real grass pitch. 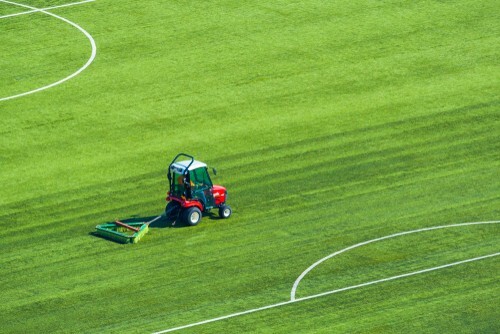 Today, we are looking at the various maintenance tasks needed to keep your 3G pitch looking and performing at its best. The first thing that you’ll need to keep on top of is debris removal. As with all forms of synthetic turf, it’s very important to remove organic matter, such as leaves. If left on the surface of the pitch, organic matter may cause weed growth on the surface of your pitch. Of course, organic matter may not be so much of a problem if there aren’t any trees in the immediate vicinity. But if there are, it’s important to ensure that leaves are promptly removed from the surface using a leaf blower or sweeper/collector. Fortunately, this activity will only need to be performed during the autumn months. As well as organic matter, it is very important to remove other debris and general waste left by visitors to ensure the surface remains free from litter. Litter removal should be carried out as regularly as required. Synthetic sports surfaces designed specifically for football and rugby typically consist of both a rubber and sand infill. Rubber crumb is used for the surface level infill. Regular light brushing should be carried out to redistribute this rubber infill, as this will ensure an even playing field. As a general rule, aim to do this after every 12–15 hours of play. This light brushing – or drag brushing, as it is known within the industry – will agitate the surface and simultaneously reinvigorate the synthetic fibres, whilst also loosening the rubber particles, which become compacted through use. This has the added benefit of helping to ensure that the surface remains free-draining, as heavily compacted particles can slow down permeability rates. Maintaining an even surface has a big impact on the performance of the turf and an even distribution of the rubber infill will ensure that ball roll and bounce remains consistent across the entire surface. Light brushing is also great for removing the sort of minor debris that will build up on the surface of the turf, something which is, typically, far more than many people expect. During play, certain areas of the pitch, such as the goal mouth, centre circle or penalty spot, will typically receive greater amounts of wear than others. This will cause the rubber infill to migrate away from these areas, potentially leaving the fibres exposed. Left unchecked, this can potentially damage the synthetic fibres and affect the performance and longevity of the turf. If this is the case, after light brushing it may be necessary to top up the rubber infill material in certain localised areas to ensure an even coverage across the entire playing surface. This is best done on a little and often basis, to ensure sufficient infill levels are maintained. Deep cleaning of the synthetic sports surface is recommended after approximately every 500 hours of play, or a minimum of bi-annually. Deep cleaning is carried out using specialist machinery that lifts and cleans the infill material. This type of aggressive brushing will penetrate the infill to a much deeper level than the light brush, removing debris and cleaning contaminated infill particles. It is necessary to remove excess detritus as it can affect the drainage of the 3G pitch. If the infill material becomes so compacted that it allows excessive moisture to remain on the surface, this can result in moss and algae growth, which will cause the playing surface to become slippery. Deep cleaning the turf will also improve the playing characteristics of the pitch and increase its lifespan. Aggressive brushing of the infill material is best carried out during the summer months, when the surface is dry, as it allows for the brushing and vacuum turbine to lift the infill material more easily. After this deep clean, it may be necessary to apply additional infill material. Although it offers many advantages over real grass, synthetic turf certainly isn’t indestructible. It still requires a reasonable level of maintenance to ensure that the performance of the turf remains up to scratch. Luckily, though, the maintenance involved when compared to real grass is minimal and labour costs are far lower. 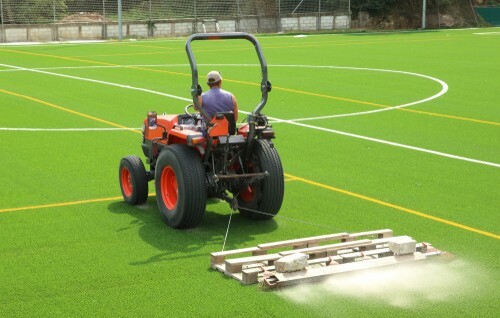 Depending on usage levels, a single football pitch can typically be maintained with just a few man hours per week to carry out the light brushing, debris removal and localised infill replacement, as necessary. Deep cleans, of course, also depend upon usage levels, but more often that not, a bi-annual deep clean is sufficient. This is normally best carried out by a professional, using specialist equipment. Installing an artificial 3G playing surface can, of course, mean a large initial outlay, but in comparison to real grass, maintenance levels are much lower and much more cost-effective, too, making it a fantastic investment. 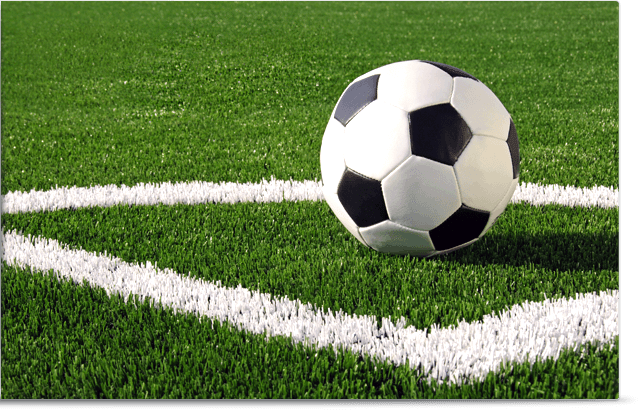 If you would like further information on our range of synthetic turf for sports use, please contact us on 01245 931200 and we will be happy to discuss your requirements.